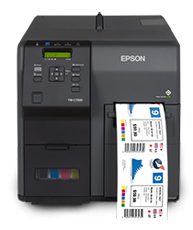 With Just in Time Color label printing technology, the Epson TM-C7500G Gloss inkjet label printer will produce stunning labels for your business, preferably for high-mix, high-volume applications. Internal label unwinder can hold rolls up to 8 inch outside diamter and 3" core. When you purchase a reliable Epson TM-C7500G Gloss inkjet label printer from DuraFast Label Company, you know the product you're purchasing will transform your company's label printing operations for years to come. 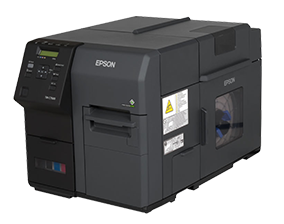 The Epson TM-C7500G Gloss comes with a 1-year standard manufacturer's warranty. Contact one of our label experts today to learn more about how the Epson TM-C7500G Gloss can help you start creating vibrant glossy color labels in-house and on-demand. What is the difference between Epson TM-C7500 and TM-C7500G printers?